Emerald Creek Dares: The Blogger Scramble! What is a Blogger Scramble you ask? Well its a lot of fun where I completely let go of any ideas or notions of what I want to see featured and let the team create what they are inspired to do. and as usual in this 'Anything Goes' Challenge, the team does not disappoint. 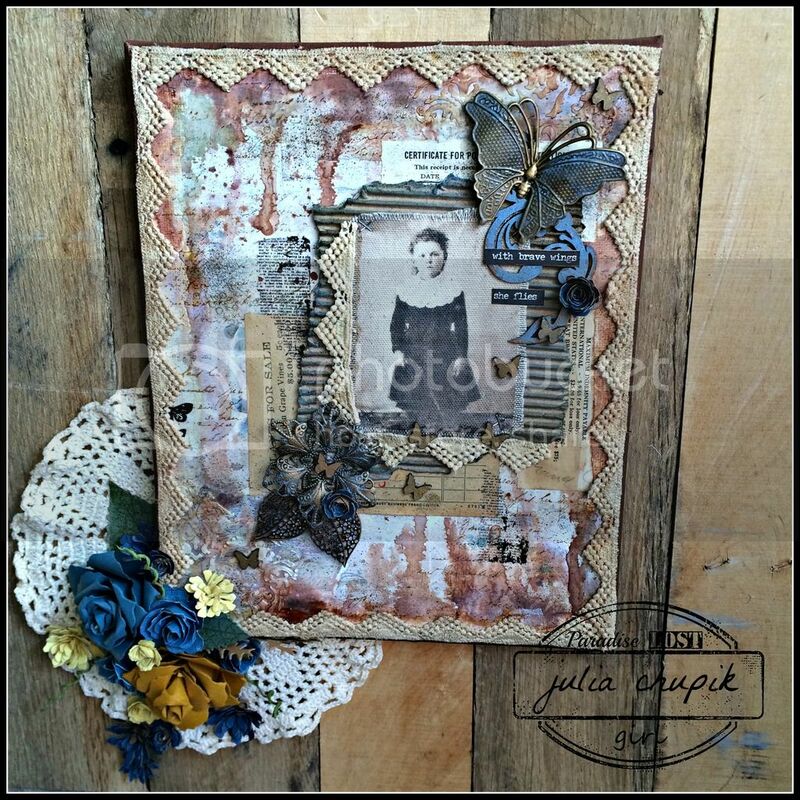 mounted on a pallet frame that features a photo of my Great-great grandmother. 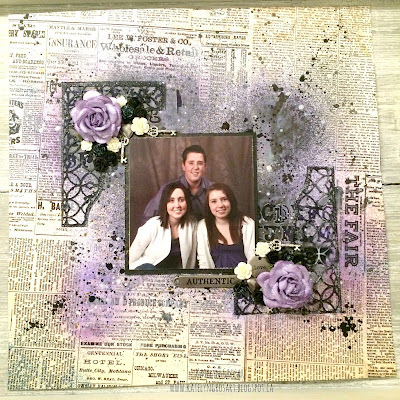 This combines my 2 loves - paper crafting & genealogy. 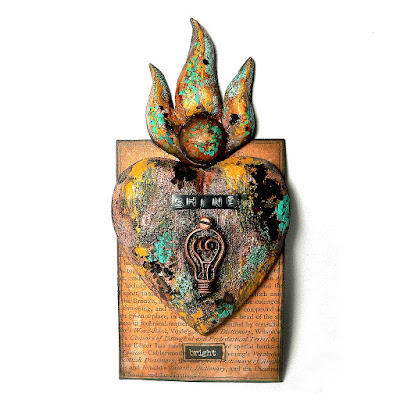 I decided to go for another mixed media heart - all done using some of the fab Emerald Creek embossing powders and charms and Tim Holtz Distress goodness. To create art that has meaning you have to be on fire about it. There's no real art without passion. And it is that passion that will let you and your art shine bright. Anything Goes?! I was excited for this one because I was thinking in a beachy direction. But I decided that for me, this Dare was going to be Anything Goes that is not in your usual pile of "go to's"! 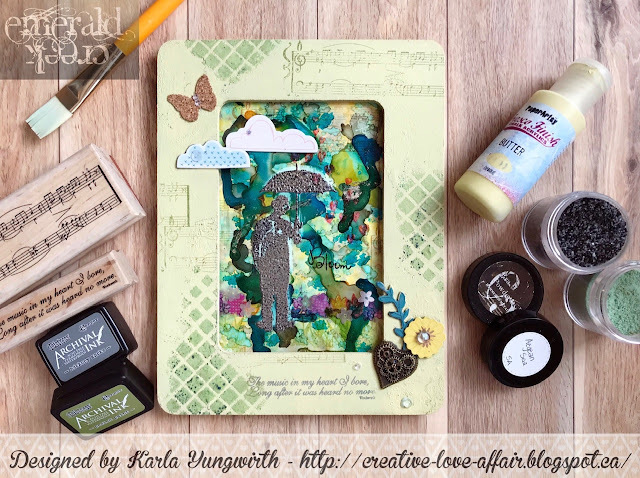 So I pulled out my beautiful Angel Fish stamp and brads from Emerald Creek and my Gelli Plate and of course my Tim Holtz Distress Paints and Sprays and my new to me Wendy Vecchi stamps. 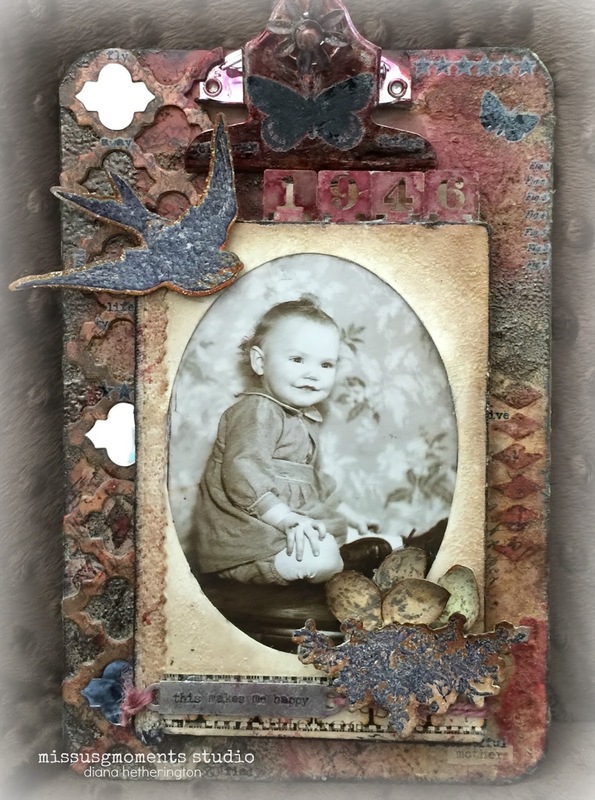 Please come and see all the details on my blog Amethyst Dragonfly's Alcove. For this Anything goes Challenge I wanted to use Sweet Valentine and Burnt Copper Embossing powder from Emerald Creek. 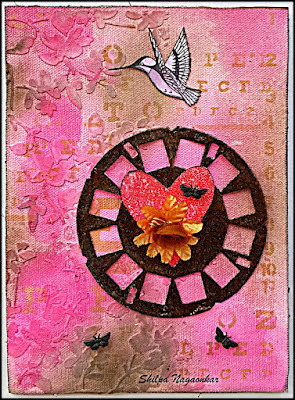 On my this canvas, pink heart and Picture wheel have fabulous layer of heat embossed powders. 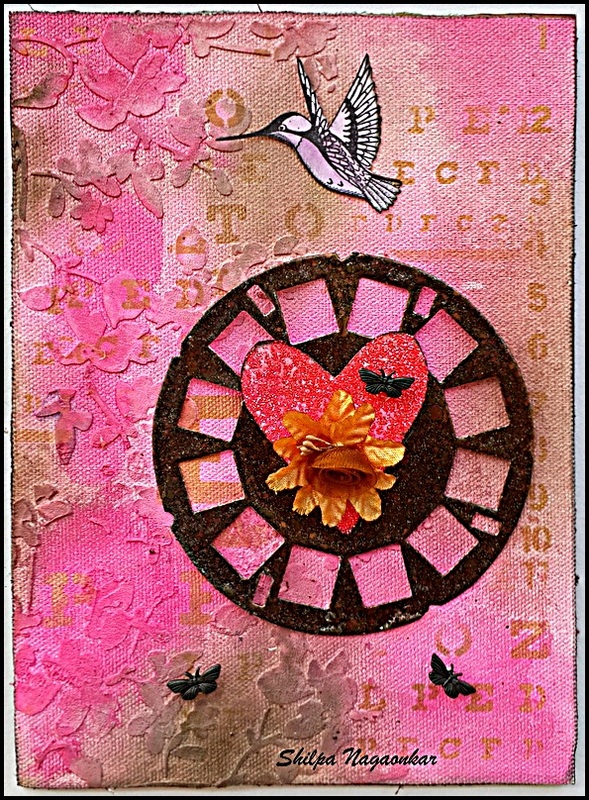 I've also used hummer stamp and butterfly charms from Emerald Creek store. To know more about this project pls visit my blog Neon Diary. winner of the Valentine's is NOT in the Air Dare. Katy please email Kim at admin@emeraldcreek.ca for your prize code. Now its your turn to Dazzle. Great inspiration from this super talented DT. Congrats to all the winners. Congrats to Katy on this awesome win! What a gorgeous project! And to Kerstin and Niki - way to go girls! Thanks so much ECD for picking my project in the top three! We are so glad you joined us and can't wait to see more of what you create. Wonderful inspiration DT! I'm off to visit your blogs to see all the details. Congratulations to Katy on your win and to Kerstin, Autumn & Niki for your top pick spots. Beautiful inspiration from the DT! Congratulations to Katy as well as Kerstin, Autumn and Nikki! Huge congrats to Katie for the win and to Autumn and Kerstin! Awww! Thanks for choosing my design for the Top 3! 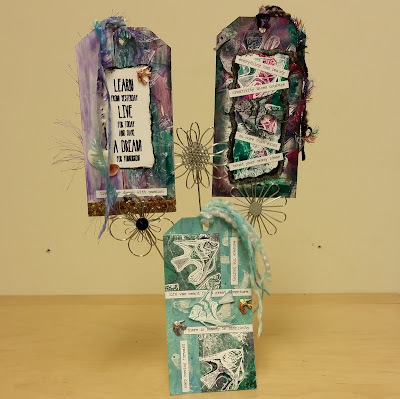 What lovely designs by the amazeballs DT for this great new challenge! Y'all Rock! We are so glad yo joined us! Can't wait to see more pieces. So well done, Katy! I love your canvas! and to Kerstin, Autumn and Niki on their fabulous makes, a huge well deserved CONGRATULATIONS! Great Anything Goes challenge with wonderful inspiration from the Design Team! Mwa! Just love all things Sara! Congrats to our awesome winners!! Thank you all for supporting Emerald Creek & coming and sharing your amazeballs creations!! DT....you knocked it outta the park again, you ladies are so talented! Huge congrats to all and thank you very much for all the beautiful inspirations here! 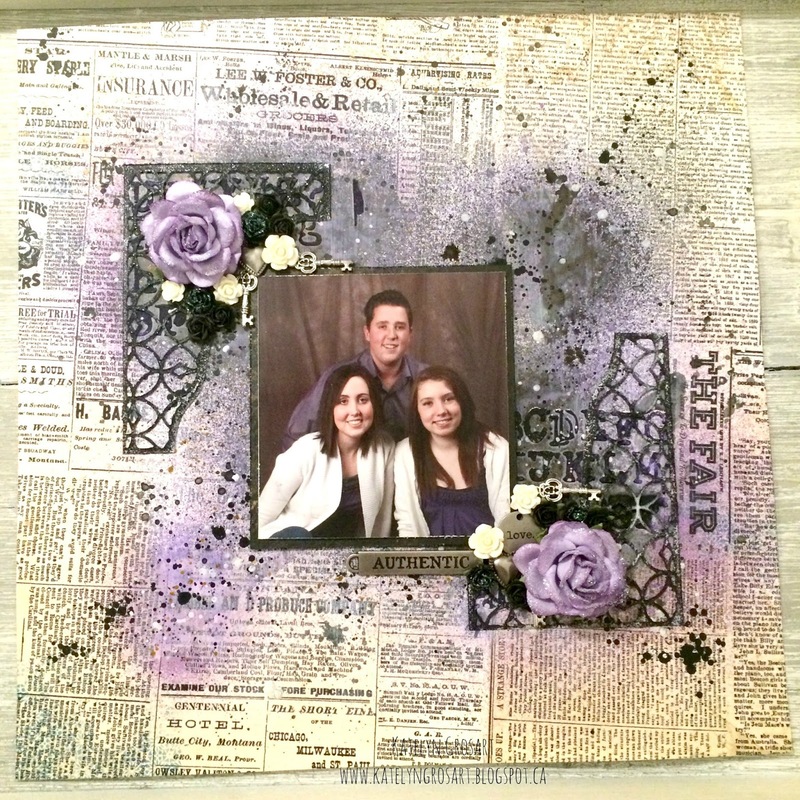 Congrats to our winner and Top3 bloggers! Truly deserved!!!! 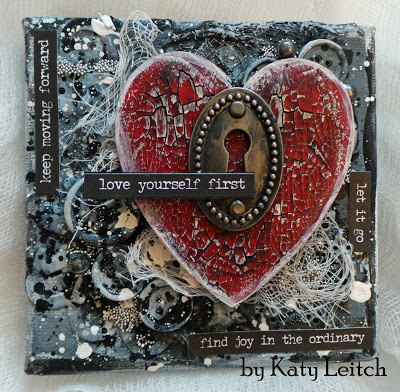 Congratulations Katy - your creation is soooooo SPLENDID - wow. And... to the top three too - you are all just soooo talented. And wow... so much variety from the DT - I'm just intrigued by them all. FABULOUSLY inspiring. Hoping to play along. j.
Wow Joi! So glad you popped in and we hope to see something from you too! It brings joy to the Team when we see you play along and inspire us back! !